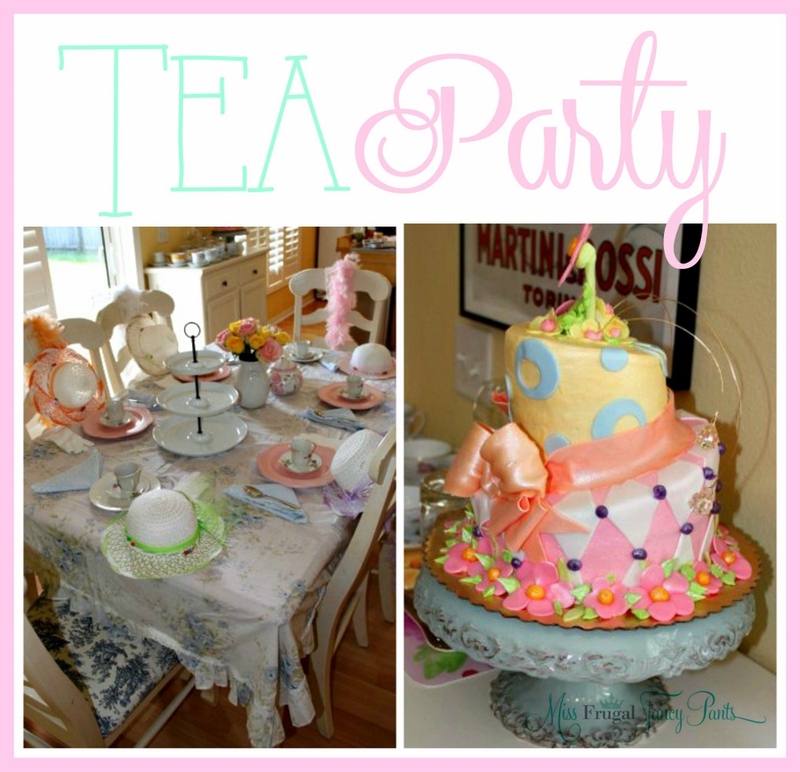 After a few years of giant blow out birthday parties for my older daughter, I decided to go with a smaller, intimate tea party theme for her 5th birthday. 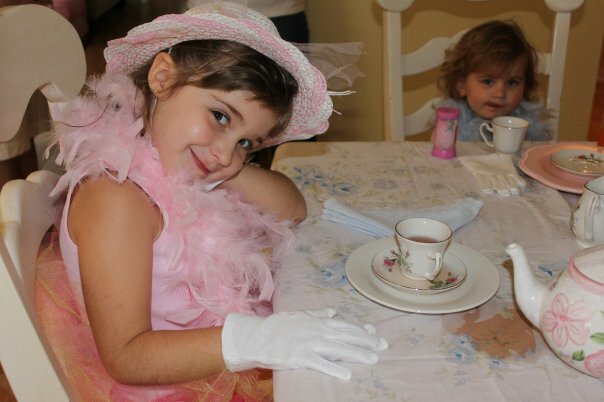 She was in the midst of the princess age so I convinced her it was a Belle themed Tea Party :). 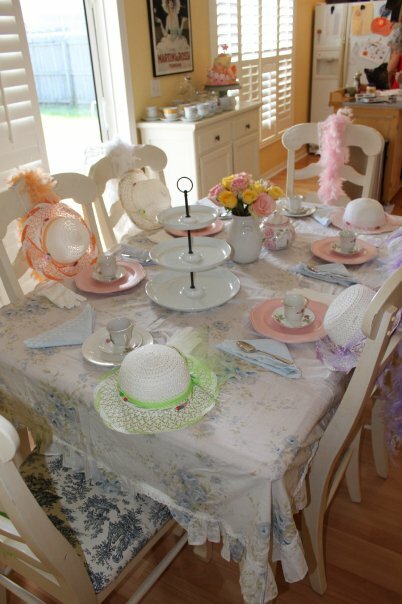 We kept the invitation list small…6 total girls and a few adults to sip tea in the living room while the kiddos lived it up at the table. My mother is a thrift store maven and managed to snag a ton of teacups, saucers and pots for crazy cheap. I think I owed her about $5 for all of it! And as luck would have it, I’ve always loved anything shabby chic and had previously purchased a set of napkins and a tablecloth (on clearance, of course) from Target’s Shabby Chic line. Oh, and I did “splurge” on fresh flowers for less than $10 and put them in a white utensil holder I had in the back of a cabinet. I don’t think I could have spent any less on the décor for this party! They were all amazing!!! Publix was awesome enough to die bread pink for me and even sliced it super thin for my tea sandwiches, which I used for pretty little basic PB&J’s. I purchased a bunch of flavored teas from a friend who was selling tea via in home parties (think Tupperware but with tea). There were fun flavors for the kids but I think the adults enjoyed them even more. 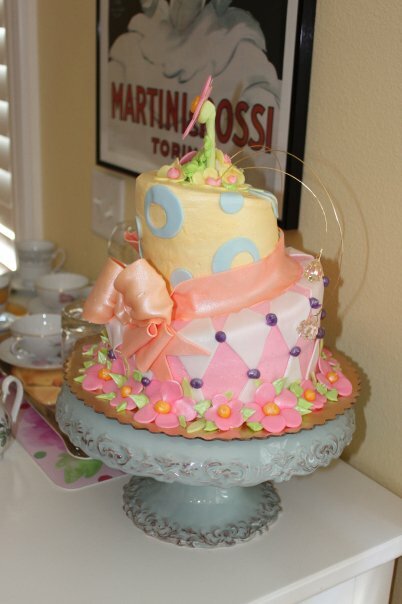 I had been watching Ace of Cakes and became obsessed with the lopsided cakes with wire doohoookies coming out of the top that were always shown in the background during the cast commentary. 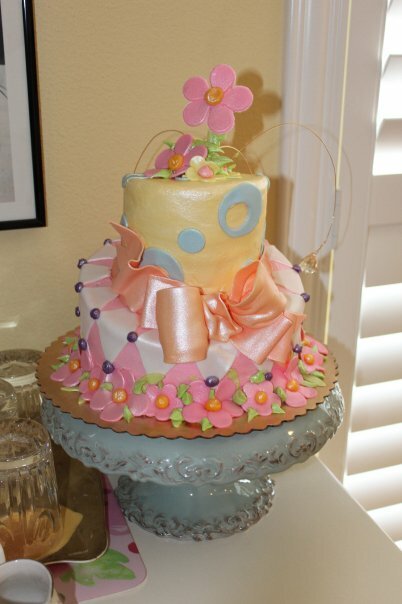 Fortunately, I was able to find a local baker that knew just what I was talking about and promised to make my “Mad Hatter Tea Party Cake” a success. And yes, this was my splurge for this party. These fancy cakes don’t come cheap, no matter how you slice it. That was a giggle-worthy pun, right? Had I not been so captivated by the idea of a lopsided cake, I could have easily saved even more by going with smaller scale homemade baked goods. I’ve never been a huge fan of party favors and if I do anything, I try to make them useful to avoid the equivalent of flushing $5++ per guest down the toilet. 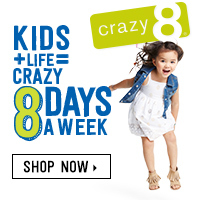 That being said, I opted to purchase a lot of 5 sets of feather boas, white gloves and white hats from ebay. It was under $25 and was so multi-functional. 1) They added pizazz to the theme of the party by decorating the chairs for the little ones. 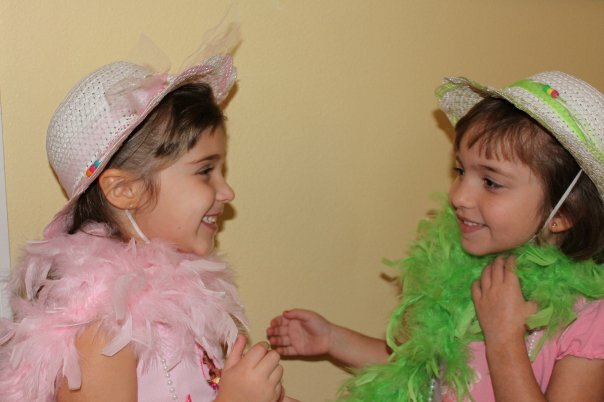 2) They gave the girls appropriate tea party attire no matter what they showed up wearing, and of course this made each girl feel like a princess. 3) The girls were all able to take home something they would play with over and over. 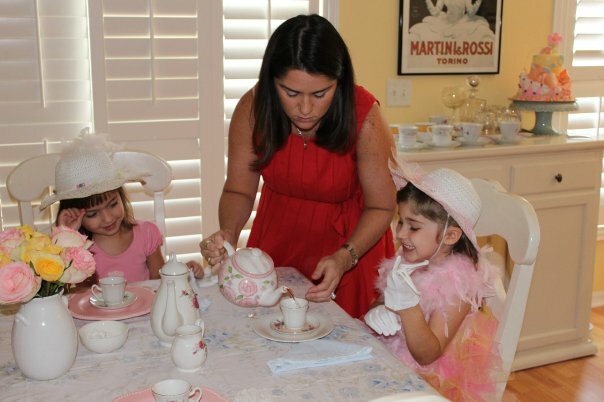 4) And my favorite… seeing them all dolled up while they pretended to like their tea, brought so much joy to all of us! 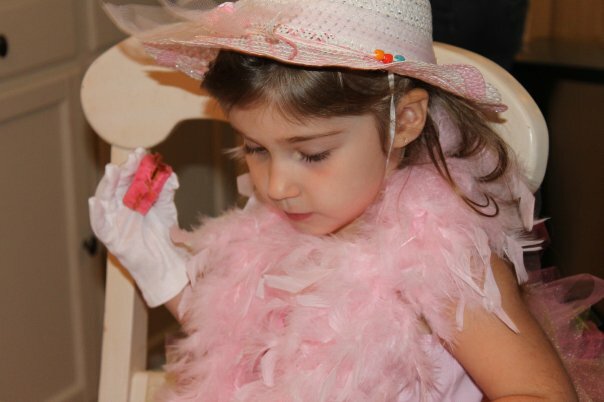 Such a fun party for all and I plan to recreate it for my younger daughter when she is the same age!